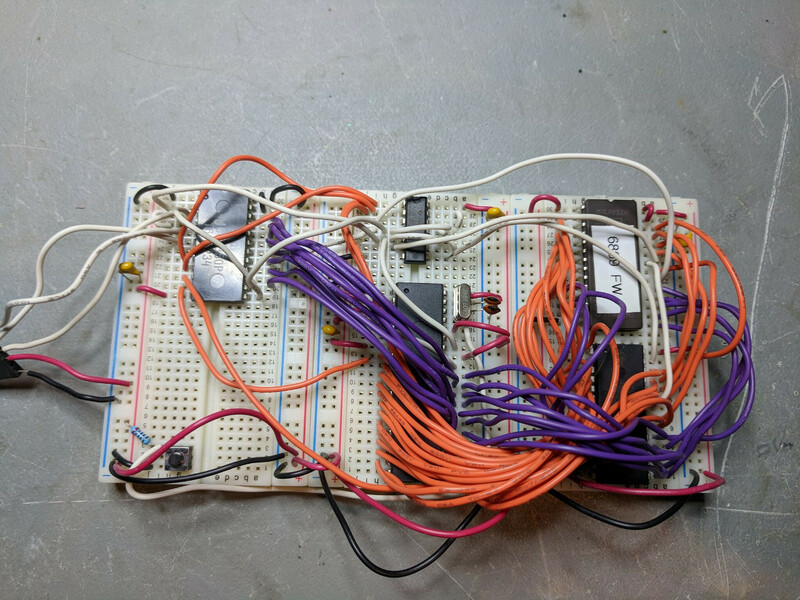 This is my breadboard implementation of Grant Searle’s 6809 SBC. 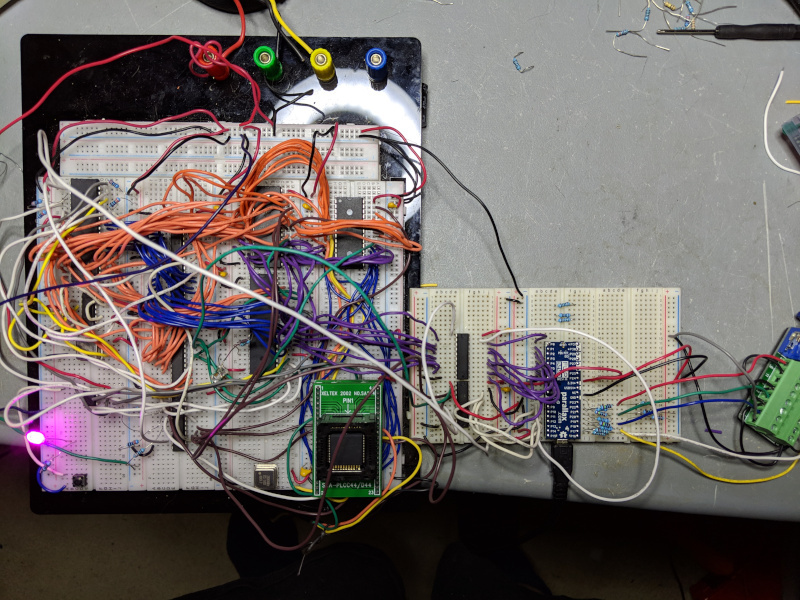 His basic design is just six chips and a handful of miscellaneous components. If you use a USB to TTL serial cable like I did then you can cut that down to just five chips. I was able put this together in an afternoon over 2-3 hours, and surprisingly, it almost worked on the first try! The only reason it didn’t work right away was because I forgot to tie a couple of MPU pins to Vcc. Once the missing wires were added it booted right up. 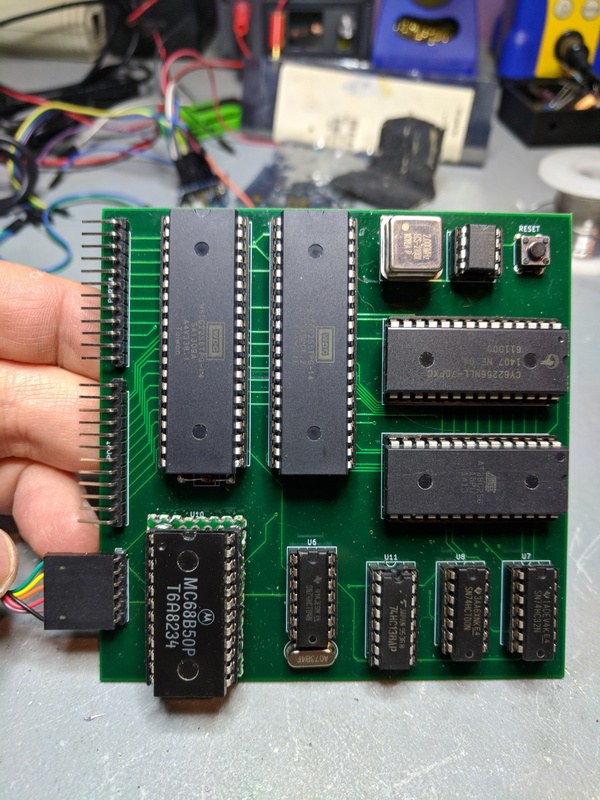 Grant also has designs for basically the same SBC but with a Z-80 or a 6502 as the CPU, and i plan to build all three eventually. 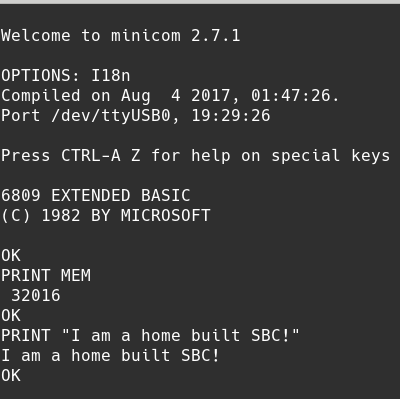 I had actually wanted to start with the Z-80 version, but it uses an 8k ROM (a 27C64) and my burner seems to be having problems burning those; more on that later. Now that I’ve gotten my feet wet I’m to start designing my own SBC. 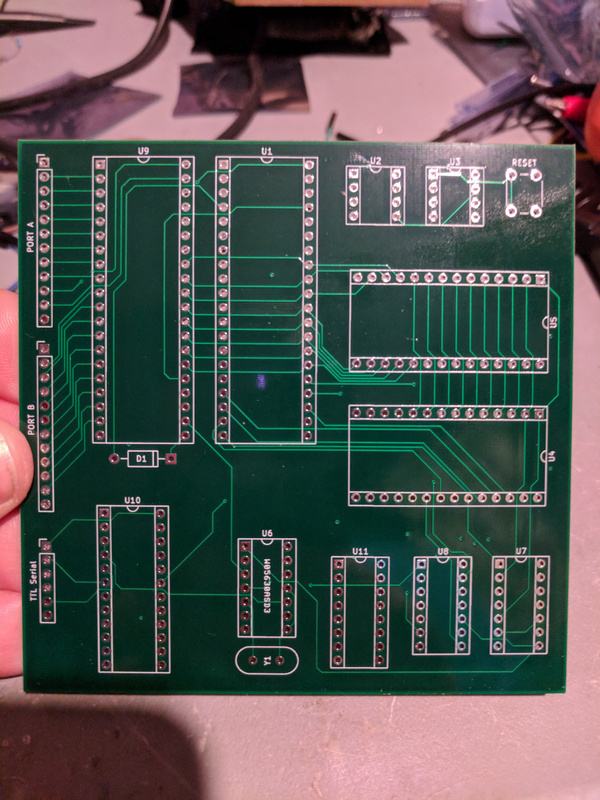 I’d like to build something around a 65816 but I will probably start with a 6502 or 65802 to keep the first design simple. Whatever I do I’m sure I’ll have fun building it! 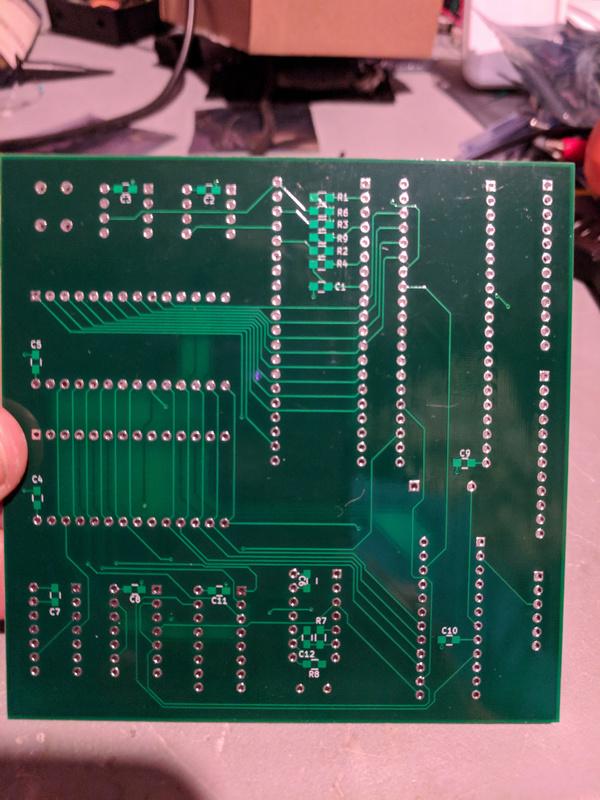 Posted in Electronics, Projects on November 26, 2017 by jthompson. I’ve pushed up some more XGS changes today! Actually some of this stuff has been in since late spring but I’ve been a bit lax on my updates…sorry about that. 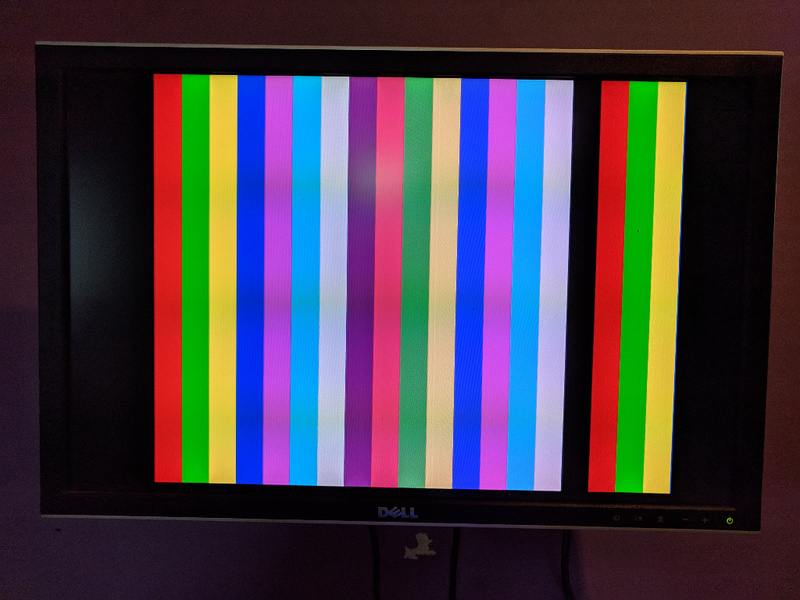 The video output in XGS is now done via OpenGL ES. SDL is still used to create the window and OpenGL context, but beyond that all video output is done via OpenGL. The reason for this change was to make it possible to integrate ImGui, which has become my GUI toolkit of choice for XGS. Currently the GUI consists of a bottom bar that lists the current CPU speed and drive activity lights for slots 5 and 6, and a speed control you can toggle by pressing F1. The speed control lets you set the speed that the emulator runs when in “fast mode” to something other than the base 2.8 MHz. Early on I said that I wanted XGS to run an acceptable speed on a Raspberry Pi 2, and as of this update that’s now possible. 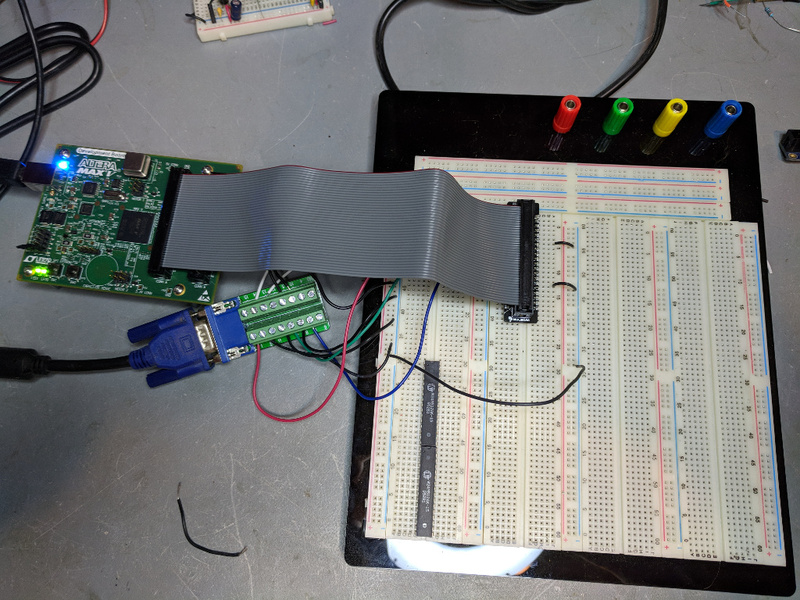 By activating a compile-time feature it is now possible for XGS to run in “raw hardware” mode on the Pi. In this mode XGS will run full-screen, talking OpenGL ES direct to the GPU without requiring X11 to be running. Keyboard, mouse, and joystick events will be captured (via SDL) directly from the Linux input event interface. On my Pi 2 I’ve found I can get a little over 3 MHz, which is not great, but it’s at least on par with a real GS. I’m sure I can speed that up down the road with some optimization. 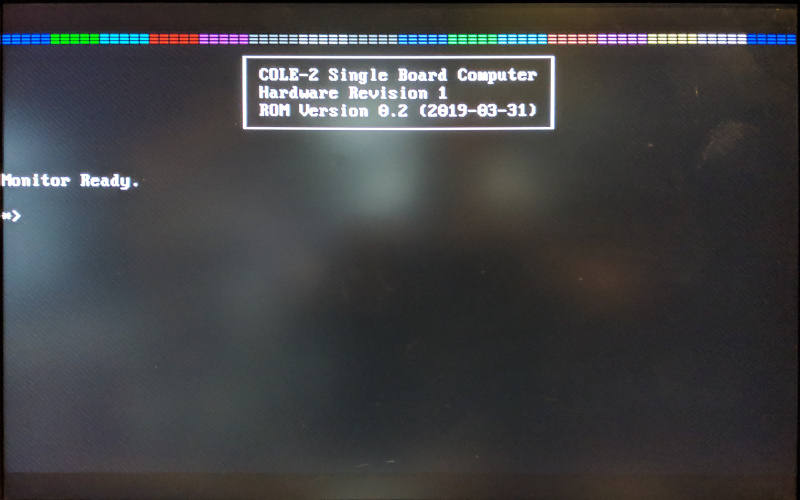 Finally, there is finally an implementation of the 3.5″ drive emulation again, albeit in read-only mode. 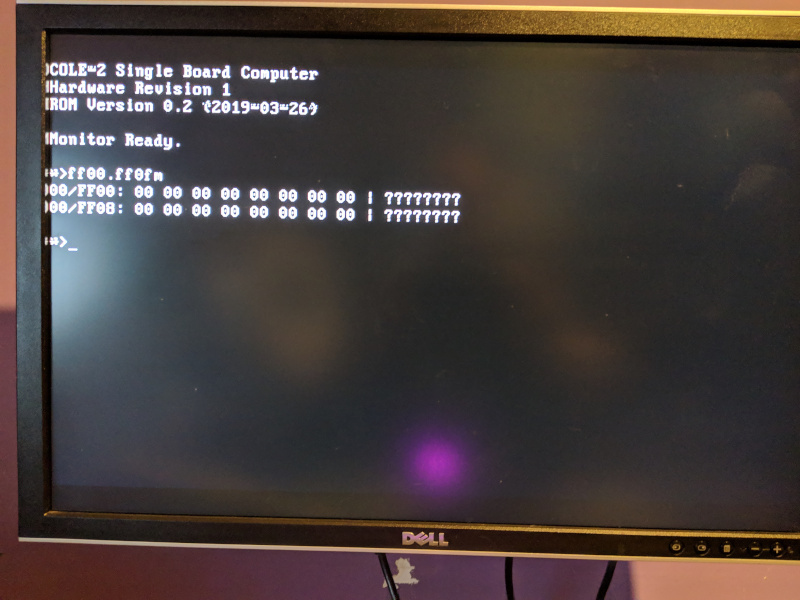 This means you can now boot from slot 5, although you will still need to issue a manual “PR#5” for the moment because something about the emulated slot 7 Smartport is breaking boot scanning. While testing out my latest batch of changes I found an interesting bug. 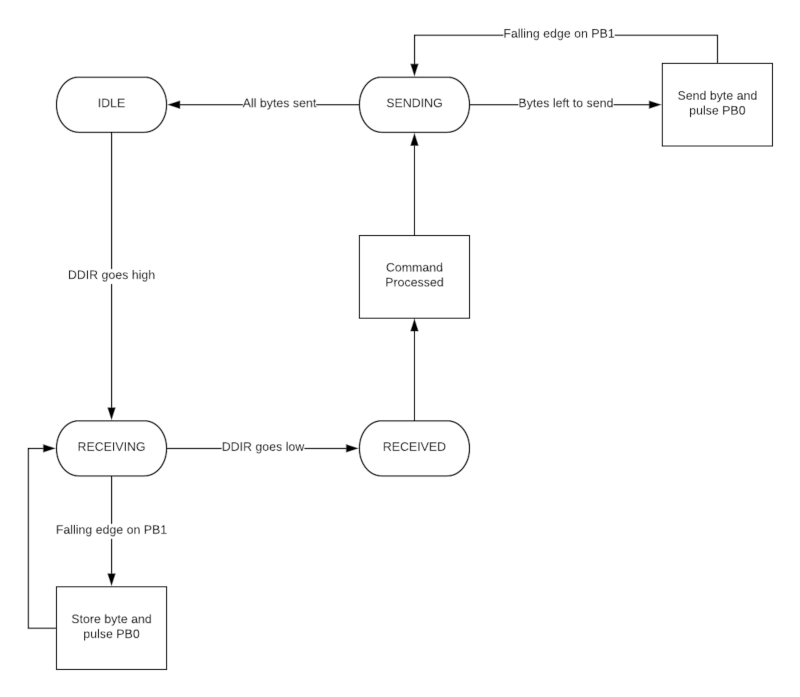 If I try to launch synthLAB from an image mounted on a Smartport device it will crash on startup, but it works fine if I mount the image on a 3.5″ drive. I’m a bit stumped here; the Smartport emulation seems to have no problem booting the OS so I’m not sure why it causes synthLAB to crash. Posted in Projects, XGS on November 26, 2017 by jthompson.